Maybe we can get that fight, because Chris Brown and Offset are apparently ready to get it on. (AllHipHop Rumors) Man, 21 Savage is a polarizing dude in this whole situation with ICE and immigration. 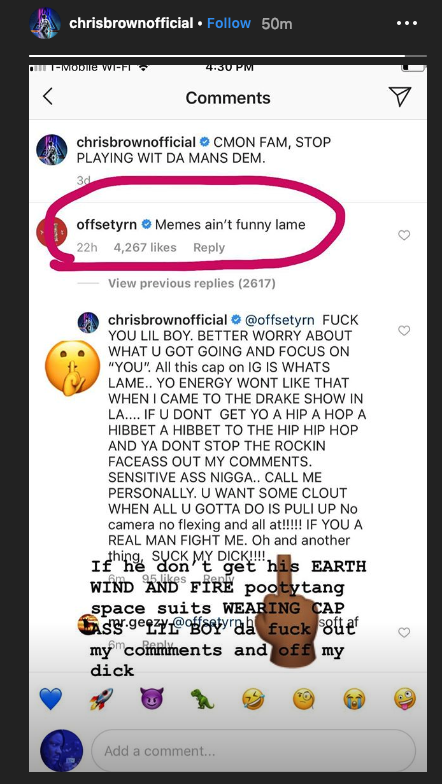 Now, it has Chris Brown (aka Bhris Brown) and Offset are all ready to fight...all over a meme. 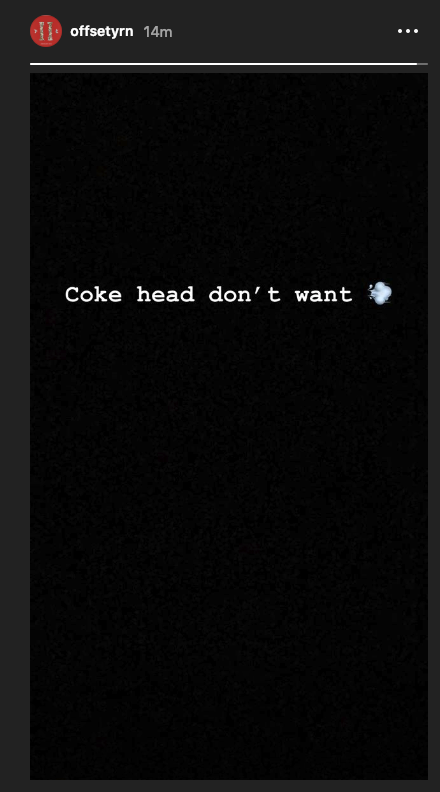 Offset got upset (get it?) because Chris Brown posted something funny about 21 Savage on his social media. This disagreement over memes quickly escalated into a "who wants smoke" conversation for all to see. Personally, I would love to see them fight! Too many dudes want to get to shooting and whatever. NAH, lets throw hands! I don't know why, but I think Chris Brown would win this fight. Who do you think would win a scrap, between these two? I thought CB only fought women lol.. This is how they fight through social media. Chris Brown staggered Offset now onto round two. This is gonna be hot..
Who is team breezy ?